Original art courtesy of Francesca Giaimo. When I was eight or nine my family and I were living in Thailand. Back in those 1980's technological dark ages, it was customary that if you wanted to watch new American movies you'd get a bootleg VHS tape from any number of available sources. The tapes were often shaky hand-held deals of someone pirating in an actual movie theater, replete with other viewers getting up to use the toilet in the days when seeing a 90-minute film was pushing a person's normal bladder capacity. And so it was that a crappy version of Labyrinth ended up in my little hands, sparking the longest love affair I've ever had with a man. I remember sitting on the floor looking up at The Goblin King, his gorgeous face, that wild hair, and that enigmatic bulge in his trousers, and I'd fallen under his spell. A year or so later, I not only had the film perfectly memorized -- a parlor trick I can perform to this day -- I had literally worn out the tape spool and we had to get a new copy. As the movie aged, my access to better VHS tape quality got better and with each new iteration more of The Goblin King's world was revealed to me. My love for him grew in kind. I can absolutely trace back my fascination with beautiful white boys and their pretty faces, especially the ones who weren't afraid of eyeliner and nail polish, directly to David Bowie in Labyrinth. Not only did his music shape my life, he was a huge (pun intended) figure in the development of my own sexuality. The years went by and Labyrinth had become like an old friend, and one who I'd visit often and fondly no matter how many hundreds of viewings had already taken place. My love for David Bowie expanded to more of his music catalog and his music videos. He was teaching me that if boys could oust the status quo, wearing makeup, being beautiful, AND successful, then maybe the opposite was also true and unattractive gangly girls like me could also be successful in spite of it. If David Bowie wasn't constrained by gender roles, then maybe I didn't have to be either. I was raised by a conservative father who believed a woman was only as useful as her appearance, and being a late-bloomer in the looks department, I got used to my dad calling me ugly, reminiscing about what a pretty child I'd been, and his favorite nicknames for me: Spinster, Four-Eyes, and Marian the Librarian. That bullying about my lacking looks carried over into middle school, where a mean girl infestation found me quite an easy target for their own version of female cruelty. I would bury my nose in books and lose myself in Labyrinth and tell myself that one day I'd find ways to make use of all that pain, just like David Bowie did. He transcended the physical while accentuating it, and gave me hope that I could, too. From the first time I laid eyes on his beautiful self I was drawn to David Bowie -- among others like Boy George, Prince, Madonna, Sinead O'Connor, and later Courtney Love, Ani DiFranco, and Björk -- because he gave zero fucks about conforming. He taught me that you can be whomever you want and whenever the feeling strikes you. I can also trace back my penchant for dressing and costuming as performance art to David Bowie -- Frida Kahlo didn't enter my life until much, much later. David Bowie taught that every day is a new opportunity for a new self, and the hybridity of his constantly-shifting and morphing style shaped my own versions of fashion as performance once my better looks arrived in my late teens. He encouraged us to embrace the multiplicity of our selves, creative and otherwise. By 16, I had already internalized being called ugly for many years, so when I finally became what other people considered good looking, I decided I wasn't interested in being a pretty girl. At least not every day. I was the first goth at my high school in India. I used eye-shadow to make blue and green and black lipstick. I buzzed all my hair off. I began dyeing it all the colors. I drew on myself constantly until I started getting actual tattoos at 19. I'd go out in a random cosplay in the middle of the week, just because. And all these 28 years later since I first "met" David Bowie none of that has stopped. So many people remember me by particularly outlandish outfits and the various phases of my own eclectic and often dramatic personal style. How do I write an elegy for a man who has had such a profound impact on my life? How do I start saying goodbye to this legend who helped me survive? How do I pay tribute to this magic man who shaped me into the artist I am today in so many ways I can't keep track? I didn't realize I actually believed with all my heart that David Bowie was immortal until I heard he was dead. Upon hearing the news at 2:10 in the morning, January 11, 2016, for the first time ever in a lifetime of different sadnesses, I considered outright denial a viable option and cultivated it for a grand total of 15 hours. I tried to sleep and could only hear his voice singing in my head, accompanied by a montage of his favorite looks, the videos I used to obsess over, and of course my love -- The Goblin King. Dancing. All the dancing. Me dancing to him from as long as I can remember. I don't think my life had really begun until he first appeared in it. Fifteen hours after I heard the news and the beginning of accepting he's actually gone was a drop-kick to my heart. Shattered. I can only imagine the pain his family must feel at this grandest of losses, and I've been holding them tight in my thoughts. 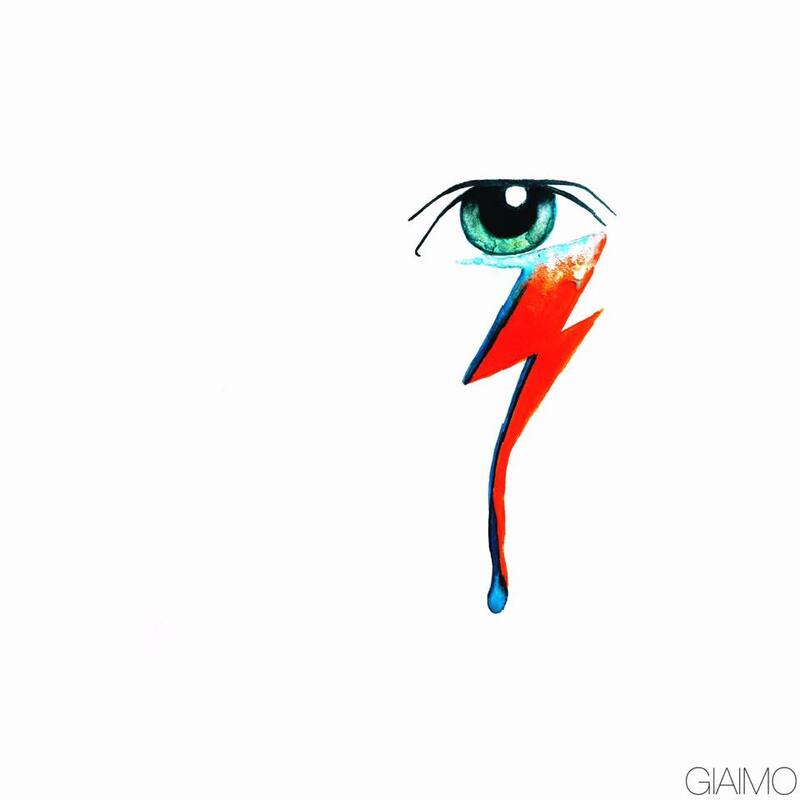 Thank you, David Bowie, for helping me survive my childhood. Thank you for helping me embrace performance art through fashion. Thank you for teaching me conformity is only one option among so many. Thank you for the lesson that beauty is what we make of it, and where we choose to find it, not an absolute with conditions that needs to be met. Thank you for the music, the movies, the glorious dancing. Above all, thank you for the inspiration. "It's only forever," he sang in Labyrinth. "It's not long at all." Well, David Bowie, you're right about that. It's only forever I will remember you, love you, and miss you. You're stardust for real now, shining down on us. Here's me putting on my red shoes and dancing the blues. Rest well, David Bowie, eternal Goblin King of my soul. You were too good for this world, you made this world better for having been in it, and you elevated humanity to rise to your unconventional standards. It was my most supreme privilege to have cohabited this planet with you, Starman, and I'll have my eyes up to the heavens looking for you always. We all will, Ziggy.